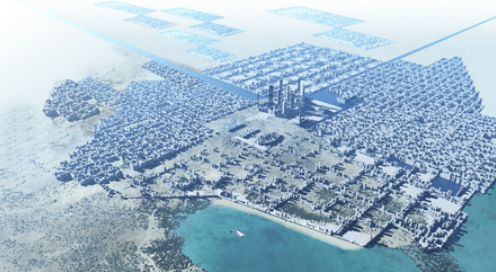 Keith Williams and EPR Architects have revealed the first picture of their shortlisted bid to design a new megacity in Sindh Province, Pakistan for the Regional Government. Keith Williams Architects is heading the team which has made it to the final two in a competition to establish a conceptual vision and a long-term strategy for Zulfikarabad, a new city to the south-east of Karachi, that will eventually be home to 10 million people. The proposal involves a new low-carbon urban morphology, and for the team at Keith Williams Architects and an “extraordinary new opportunity” for an architectural firm best known for its landmark cultural buildings.